One of the pioneering olive orchards in Texas, we planted our first orchard in 2008 and have grown into a full-service olive business. 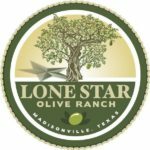 Lone Star Olive Ranch extra virgin olive oil is ESTATE GROWN. We insure the highest quality extra virgin olive oil by maintaining complete control by growing, harvesting, milling and bottling our extra virgin olive oil at the ranch. It all starts with our 14,000 olive trees (21 varietals) planted on our 80 acre ranch. We also do orchard installations, olive tree sales, consulting and orchard management. Our sister company, Texas Mobile Mill (www.texasmobileolivemill.com) owns and operates the world's most state-of-the-art mobile olive mills in the world.